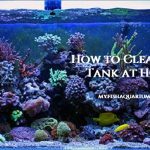 Granted, that cleaning a fish tank is not easy as it looks and the larger the tank, the more effort you are going to have to expand to clean the same up. 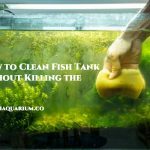 If you are wondering how to clean a fish tank without killing the fish, then all you need to do is to adopt some of these golden rules right away. Just adopt them especially when you are about to clean your aquarium. 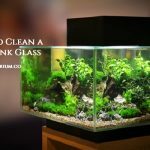 Small changes: What most pet owners do not realize or rather they focus more is on how clean and shiny their aquarium looks and as a result, they often miss out on the big picture. Just remember that your aquarium is not just a place of residence for your pet fish but rather that it is a miniature, and closed bio sphere and contains lots of bacterial colonies, which are beneficial to the fish. Furthermore, removing all the water and replacing it anew at the end of a cleanup can stress a fish, so try to change small amounts of water daily. And when you go for a complete clean up, try and retain some of the tank water, as that can help put the fish at ease and not stress them out when they are reintroduced back into the tank. Sensitivity: As hard as it may be to believe at the start, most fishes are incredibly sensitive to their immediate surroundings. 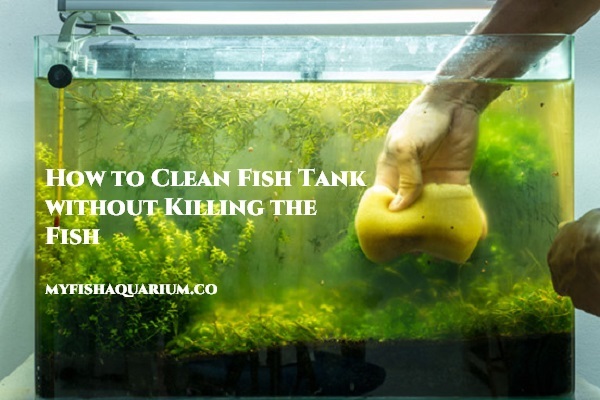 So try to avoid using any toxic or household chemicals when cleaning the fish tank. Get the right equipment: It is never a good idea to carry the fish tank outside to dump the old water; chances are that you are going to drop it mid way and would have to splurge for a new tank all over again. 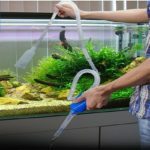 A good idea would be to invest in some equipment, including a hose that can help you siphon the water from your tank and allow you to clean a fish tank without killing the fish. Clean the filter media: You need to take specialized care when you are cleaning the water filter and filter media. Chances are that bacterial would have colonized the same as they do with almost all the surfaces inside the tank as well as on the outside. Use warm de-chlorinated water to clean the water filter so that this bacterial colony remains unaffected by the clean up process. Check your water: Make sure that you check your water; by measuring the chemical levels in your water, you are just taking a few additional measures to ensure that your fish remain in a clean and stress free environment. There are more than a few tools that you can use to measure the amount of ammonia, nitrates, and nitrites in the water. And if the tests indicate that these are above a certain threshold, which means that it is time to change the water again. So, this was all about cleaning your fish tank while taking utmost care of your fishes. Fishes are delicate and you need to be really careful while placing them in another container and putting them back into the tank. 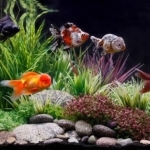 With these 5 tips, you should be able to clean a fish tank without killing the fish.